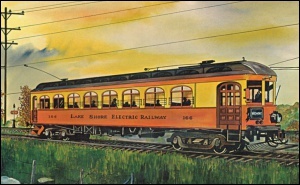 The Lake Shore Electric Railway was the quintessential interurban. 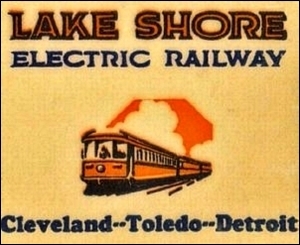 Created in 1901 from the merger of four smaller railways, the Lake Shore Electric became renowned for its big, luxurious cars, and fast service between Cleveland, Toledo, and Detroit. The first decade of the 20th century was the peak of the electric railway era, and Ohio was the nation's leader, boasting more railway companies and more miles of track than any other state. Much more than simple streetcars, interurbans were big, fast, and comfortable. They connected cities in ways far more accessible than steam railroads, years before long distance automobile travel was common or even feasible. 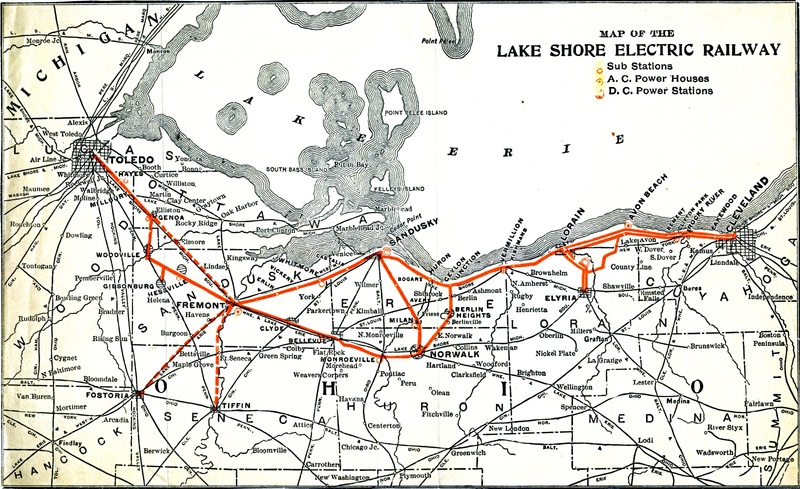 The Lake Shore Electric was a major transportation link in northern Ohio, and directly contributed to the growth of many communities along its route. It allowed businessmen to travel quickly between cities, urban residents to vacation in the country, and rural residents to shop in the city. Freight hauling became an important aspect of operations in later years. Farmers could ship their produce to markets by interurban faster and more economically than by steam railroads, and packages could be delivered overnight throughout Ohio, Indiana, and Michigan. Unfortunately, the increased popularity of the automobile combined with harsh economic times eventually led to the decline and demise of the interurbans. 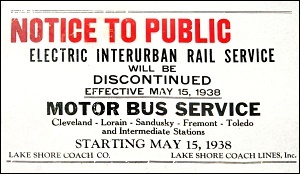 By the time it ceased operations in 1938, the Lake Shore Electric was among only a handful left. Today it is almost completely forgotten, even among the communities it helped build. But for those who care to look, and know where to look, many structures, artifacts, and other traces can still be found. 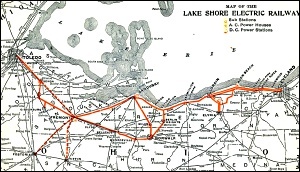 Use the links below to explore the route, history, and remaining artifacts of the Lake Shore Electric. Each town or major operational area has its own page of information and photos. Clicking the header will begin your tour from the east end of each section, or select an individual page from the drop down menus. Buttons at the top of each page allow you to navigate to the next town east or west. You can also open an annotated Google map on each page to view the route and points of significance. 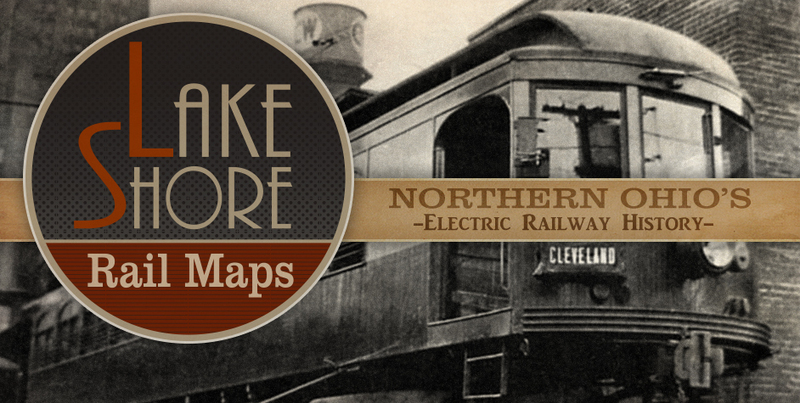 Click the Lake Shore Rail Maps logo on any page to return here. A small branch of the Lake Shore Electric which connected Beach Park to South Lorain and Elyria between 1905 and 1925. Copyright 2013-2016. Site designed in partnership with Jason Shaffer Photography.